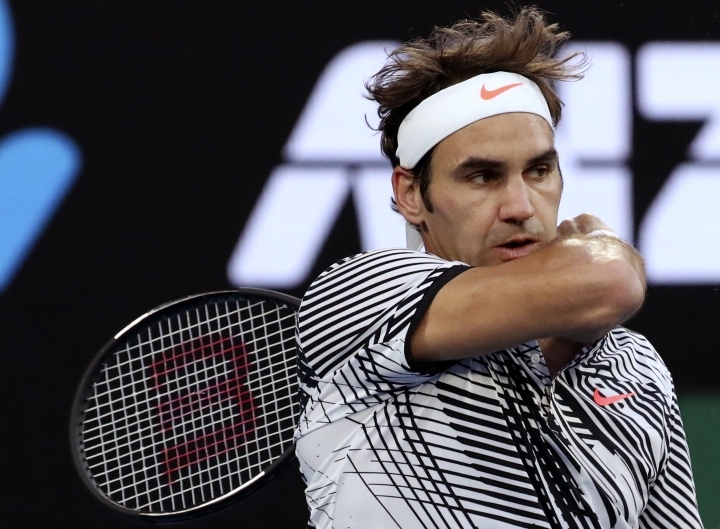 Roger Federer has advanced to the Australian Open semifinals with a 6-1, 7-5, 6-2 win over Mischa Zverev, the player who upset top-seeded Andy Murray two nights earlier. Federer was overpowering at the start, taking a 5-0 lead in just 12 minutes before Zverev held. But Zverev settled down in the second set and broke Federer's serve once and was two points away from taking the second set before Federer rallied. In the third set at 2-2, Federer broke Zverev's serve with the help of two well-time lobs and passing shots when Zverev attempted to serve and volley. That strategy worked against Murray on Sunday, not so much against Federer. The Swiss star reached his 41st Grand Slam semifinal and his 13th at Melbourne Park. Federer will play U.S. Open winner Stan Wawrinka in the semifinals. 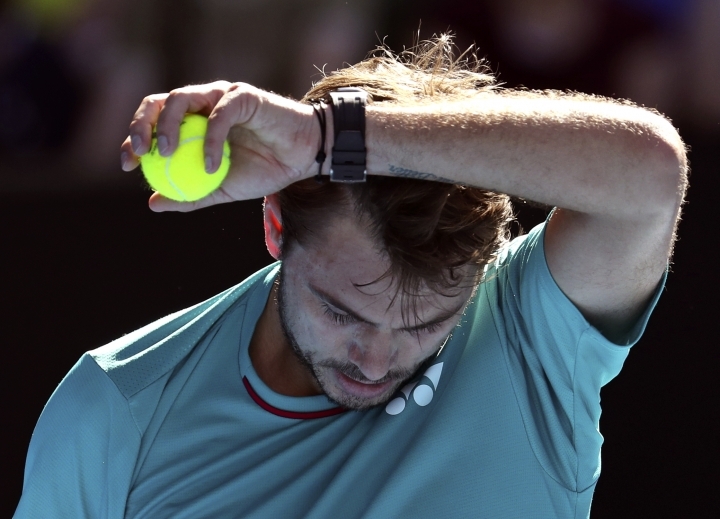 Wawrinka earlier beat Jo-Wilfried Tsonga in straight sets. It was Wawrinka's fourth win in a row over Tsonga and the first meeting between the pair at a Grand Slam other than the French Open, where they had met three times, with Wawrinka holding a 2-1 edge. It was also the pair's first meeting on a hardcourt in nearly 10 years — at Metz, France in 2007, when Tsonga won. 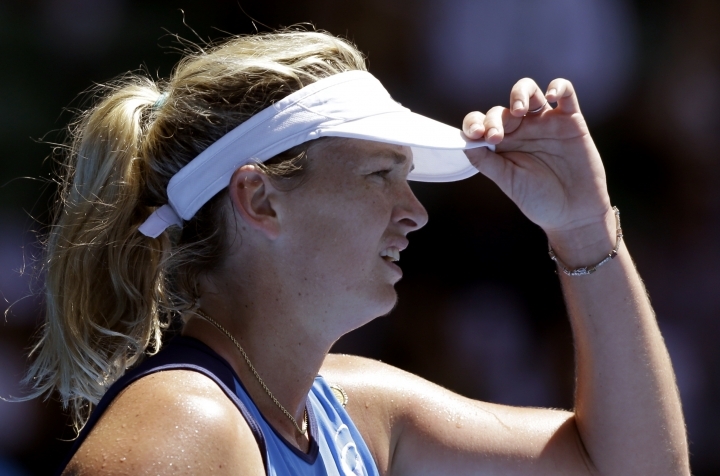 Coco Vandeweghe beat French Open champion Garbine Muguruza 6-4, 6-0 to set up an all-American semifinal at the Australian Open. Vandeweghe, who beat top-seeded and 2016 champion Angelique Kerber in the fourth round, will play 36-year-old Venus Williams in the semifinal. Williams is the oldest women to play a semifinal here in the Open era. Serving for the first set, Vandeweghe faced her first break point of the set, but saved it with an ace. She clinched the 56-minute set when Muguruza, who faced nine break points in the first set, fired a backhand long. Vandeweghe overwhelmed a listless Muguruza in the 28-minute second set when the Spanish player won only four points on her serve. 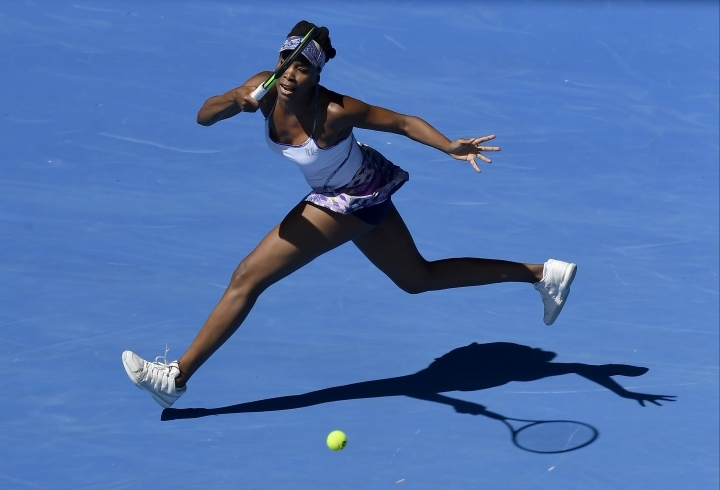 The oldest woman in the singles draw at the Australian Open is through to the semifinals: 36-year-old Venus Williams beat Anastasia Pavlyuchenkova 6-4, 7-6 (3) at Rod Laver Arena on Tuesday. She is the oldest woman to advance this far at the Australian Open during the Open era. Williams was behind a service break in the opening set but broke the Russian's serve twice in three games, including when Pavlyuchenkova was serving to stay in the set. Williams had three set points and clinched the set on a backhand service return. Pavlyuchenkova double-faulted twice during the tiebreaker — including on match point — among nine during the match as Williams won six consecutive points after trailing 3-1. Williams will play the winner of Tuesday's later match between American CoCo Vandeweghe and French Open champion Garbine Muguruza. It's quarterfinal Tuesday for half of the men's and women's draws at the Australian Open, with Venus Williams and Roger Federer among those looking to advance to the final four of the year's first Grand Slam tournament. Williams begins play on Rod Laver Arena against Anastasia Pavlyuchenkova, and another American, CoCo Vandeweghe, follows against French Open champion Garbine Muguruza. The last match of the afternoon session will see U.S. Open champion and 2014 Australian Open winner Stan Wawrinka take on Jo-Wilfried Tsonga. Federer, back in action after a six-month injury layoff, plays Mischa Zverev to open the night session at Rod Laver, when Laver himself will be in the building. Zverev's previous match was a fourth-round upset victory over top-seeded Andy Murray.